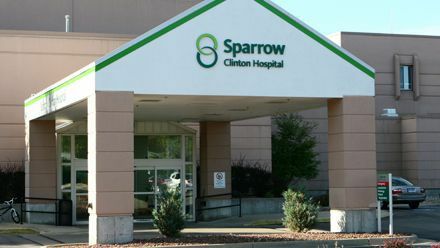 Sparrow Clinton Hospital is a general medical and surgical hospital in Saint Johns, MI, with 25 beds. Survey data for the latest year available shows that 13,918 patients visited the hospital's emergency room. The hospital had a total of 822 admissions. Its physicians performed 155 inpatient and 1,386 outpatient surgeries. If you or a loved one has been a victim of medical malpractice in Sparrow Clinton Hospital, you may be able to file a lawsuit seeking compensation for your injuries. Call our award winning legal team today at (800) 606-1717. We will listen to your story and determine if you are eligible to file a claim. There are strict time deadlines so it is important that you call us today.